Jack White’s “I’m Shakin'” was up for best rock performance and best music video last night at the GRAMMYs. It won neither category. Somehow Imagine Dragons beat out Jack White, Queens Of The Stone Age, Alabama Shakes, David Bowie, and Led Zeppelin. I’m beside myself. Sometimes the GRAMMY voters just don’t know how to handle a category. I love Imagine Dragons, but no. 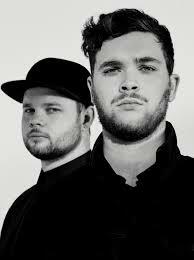 In a music world where guitar rock is a very distinguished minority, it’s only right that the award should be given to one of modern rock’s real vanguards. We seem to have some weird rules when it comes to the naming of inanimate objects. For that matter we seem to have some weird rules when it comes to the relationship we develop with inanimate objects. For example, it isn’t uncommon for cars to be named, and it’s certainly not uncommon for instruments to have names and even occasionally personalities attached to them. So, why? 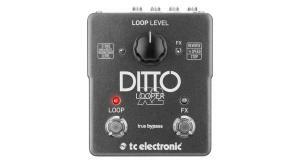 Following on the enormous success of the original Ditto Looper, TC Electronics unveiled the new Ditto Looper X2 adding a ton of new features to the original. I personally use my Ditto Looper as an essential practice tool whether it is recording loops to jam over or to practice running scales against a chord drone, the uses are endless. And now TC takes it even further. The Ditto Looper X2 will be available in stores from March 1st and will be available at $179.99 suggested US retail/ 169 € EU SSP / £145 UK SSP. Bands like this make me happy!